Here's one more thing I haven't done in ages...a Wordless Wednesday! In staying with how I used to do Wordless Wednesdays...with words. What can I say? Every night, when Fred comes downstairs to end the night, Peru comes down with him and absolutely HAS to sit on the love seat with him. 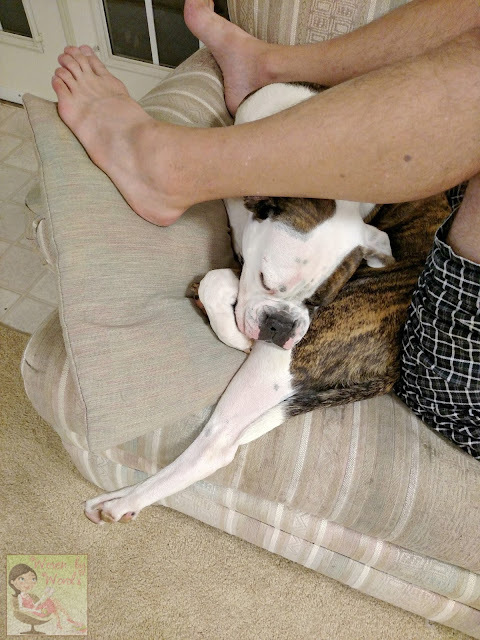 If he has his legs propped up against the other side of the love seat, she pushes her body up underneath his legs, and she just fits herself in. This night, this is how she ended up. It may be fall, but I'm still happy that the flowers are still giving me colors of summer! 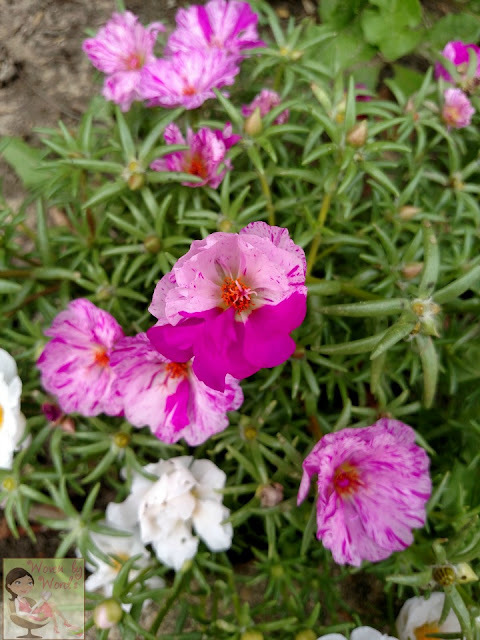 These Portulaca, aka Moss Roses, are an annual flower that makes me happy as can be! 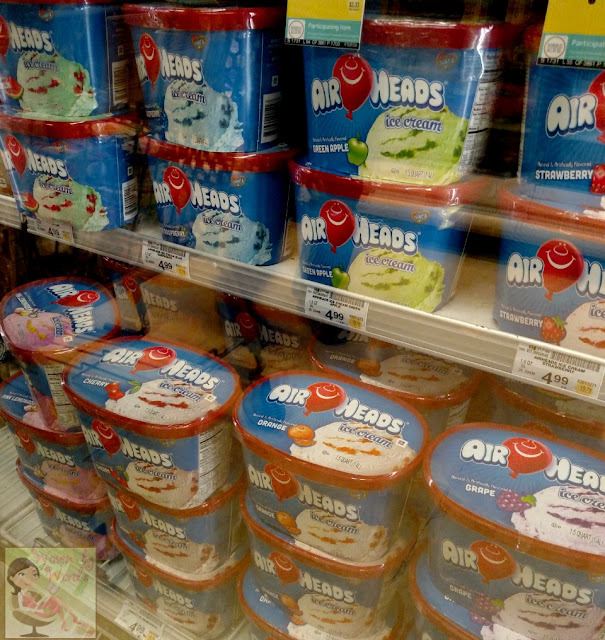 Last Friday, while Fred and I were out grocery shopping after our date night dinner, I saw this ice cream in the freezer aisle! I was shocked. I can't even imagine how it must taste. Did you watch the harvest blood moon? We wanted to. Unfortunately, it was cloudy here for a few days. That evening, when I ran to the grocery store, I was SO excited to see a clear sky with the large moon over the Bay. I thought for sure we'd get lucky and be able to see the entire thing. Unfortunately, the clouds came back in. We did go down to the bay around 9:30pm to see if things might change, but alas, it wasn't meant to be. We were all pretty bummed to not experience it. Maybe in 2033. Oh my that doggie's position cracks me up. I don't know if I could eat that ice cream. I bet it's fake tasting. 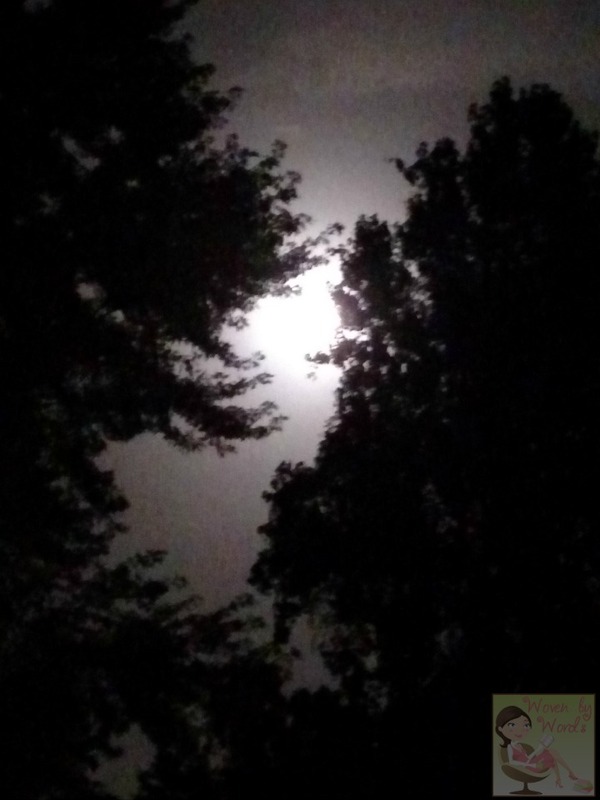 I watched the harvest moon, but my photos weren't super great.